If you are going to need cataract surgery, there is no greater surgeon to perform this procedure than Dr. John Goosey. Many patients get nervous over the idea of having eye surgery. They don’t necessarily realize that cataract surgery is one of the most common surgical procedures on the eyes, and that it’s the most consistently successful outpatient surgery performed today. 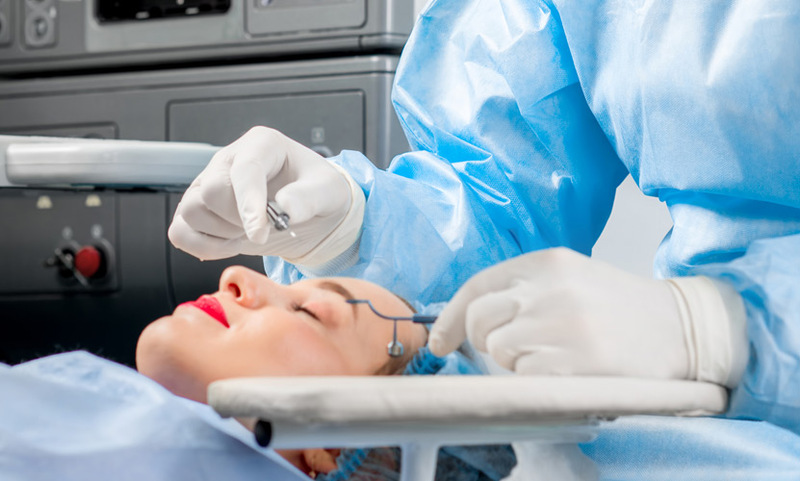 Taking a moment to review the cataract surgery procedure, Dr. Goosey provides a few details below that may help patients assuage those fears. There are two different types of surgery techniques that are commonly performed to remove cataracts. Both are simple outpatient procedures that do not require overnight hospitalization in most cases. If the surgeon is using phacoemulsification, the cataract surgery procedure will involve the breaking up of the clouded lens into small pieces, using an ultrasound device and the removal of these pieces through several small incisions. In other cases, surgeons still use more traditional methods of creating a larger incision, and then removing the entire lens intact. In both cases, lasers are sometimes used to make incisions, help to fragment the cataract, and remove the lens’ anterior capsule. Dr. Goosey prefers to use the latest in cataract surgical technology for his patients. This helps to ensure accuracy, less complications, as well as better options for which kind of IOL you prefer to use for your corrected vision. The cataract recovery period will depend on the type of procedure used. Someone must be available to drive the you home after surgery, as your vision must be confirmed before you can be considered safe to drive. Dr. Goosey will prescribe medicated eye drops for use several times a day, and a protective eye shield must be worn for at least a week. Post-operative sunglasses will also be given to you, as you will require additional protection from bright light for some time. Dr. Goosey and staff will provide you with various instructions and a list of Do’s and Don’ts to help you during the healing process. As with any surgery, Dr. Goosey encourages patients to rest and follow instructions. You should avoid strenuous activity and heavy lifting for at least a week after the surgery. The eye should be kept closed while bathing. Swimming pools and hot tubs should be avoided for two weeks. Activities that can expose the eye to infection-causing contaminants, including dust, should NOT be engaged in during the healing process. 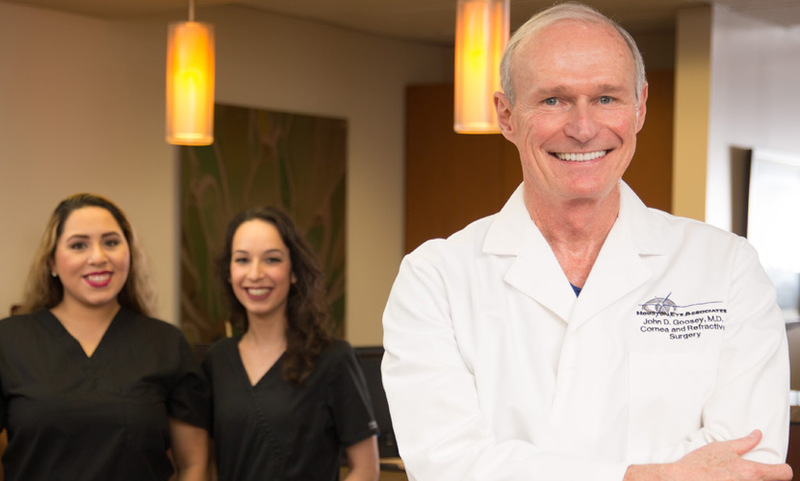 The beauty of choosing Dr. Goosey as your cataract surgeon, is you will get to see him each time you come in for your appointments, when you have the surgery, as well as during follow-up appointments. However, there are some important things that must take place before cataract surgery. 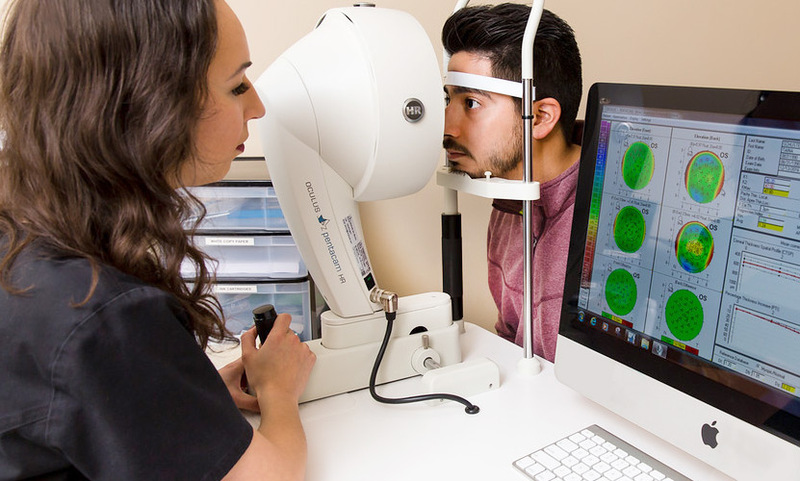 An eye exam must be performed prior to the surgery to check overall eye health and identify any potential risk factors. Additionally, the exact amount of nearsightedness, farsightedness, or astigmatism will be determined before a patient is admitted. Call 281-407-9062 or contact us online!